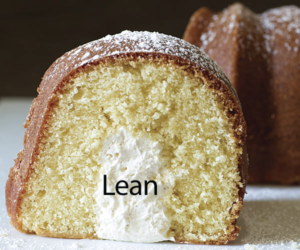 Is Lean Now "Baked In?" Scientific Management and the Efficiency Movement had its heyday during the 30-year period between 1910 to 1940 and then faded from existence. It seems that those business leaders who were interested in improving management had done so to their satisfaction after five or 10 years of effort during that 30-year period. After that, top managers believed that the new way of thinking and tools needed to perform work better were “baked in” – meaning, part of how employees did their work day-to-day. And soon, a new generation of managers would take over and inherit what has been previously accomplished. Could a similar transition be happening now regarding top managers’ interest Toyota Management and the Lean Movement, as Lean approaches its 30th anniversary? Do most leaders now consider Lean to be “baked in” to their management practice? It seems, generally, that management’s interest in Lean begins to fade after about 5 years. Some leaders lose their love of Lean sooner, some later. Regardless, managers come to believe that Lean has contributed all it can to the business, and that all the requisite learning that can take place has taken place. They believe that the set of Lean tools they adopted have become integrated into employees’ day-to-day work, whether or not that is actually true. This seems to be a natural phenomenon that occurs among managers who have been raised in the tradition of conventional management. The leading organizations that promote Lean do not have the ear of CEOs in the same way that McKinsey&Company, Bain & Company, AT Kearney, or Boston Consulting Group do. Lean has long been seen by CEOs as a tactic or operations strategy, but not as a corporate strategy. Tactics, as well as strategies, have life cycles, whether it is deserved or not. It will be a big challenge, but not an impossible one, to assure Lean’s future relevance. It may or may not survive the arrival of a new generation of CEOs who believe Lean is “baked in” and who are looking for something different to make their mark in business. Regardless of the method used to manage organizations, the need to improve leadership skills and capabilities will be ever-present. For that reason, I created Speed Leadership, a practical, process-based approach to leadership. It is unlike anything else you have seen. Learn more by visiting my Speed Leadership web site and read my book, Speed Leadership: A New Way to Lead for Rapidly Changing Times.